To many, Nespresso express the idea of creating the perfect espresso coffee, anytime and in their own homes. The company has redefined the age-old process of brewing the perfect blend, without the struggle. It has achieved this through trendsetting, continuous innovation. Nespresso achieves coffee nirvana through its unique packaging. The coffee is sealed inside aluminium capsules. Each capsule is hermetically sealed to lock in the flavours, which a discerning coffee drinker would expect. From the delicate plucking of the coffee cherry to tasting experience, the brand has mastered every step to culminate in Grand Crus coffees. The Nespresso coffee machines available at Chadstone are designed to release the subtle flavours and the aromas of Nespresso's signature Grands Crus coffees. All these are done to ensure that you can prepare the finest espresso coffee right at your home. The premium taste will be there in every cup. The machine is of evergreen aesthetic design, made more beautiful by intuitive functions and innovative technology. Every detail came after a prolonged thought so that you can enjoy an unmatched coffee experience-everyday. The machine you buy is a treasure in itself. The Essenza range is unashamedly modern and is available in a bouquet of colours. It's compact frame and modular stylish design conceals a sophisticated technology under all the beauty. If you love the retro-modern look, then the Citiz machine range perfectly encapsulates the blend of retro-modern design and high technology. The Pixie range is a compact model harnessing innovative technology. Both Maestria and Lattissima machine range embodies a classic mix of high-class materials, aesthetic retro design perfectly mated to advanced technology. 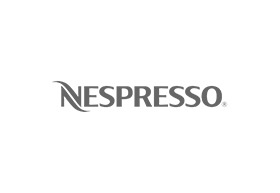 You can ask Nespresso's in-house coffee specialists to help you to select your coffee. They will also advise you on selecting the ideal coffee. Visit the Chadstone store on the ground level for an unrivalled experience tailored to your exact requirements and needs.